Below is a list of all the filming projects (that I can, or want, to remember!) being involved with, whether it be in front or behind the camera, or both. The third of a few holiday videos to come, this is a short one of a boat ride to Porto Cristo, Majorca / Mallorca. Filmed / edited / posted in HD widescreen. 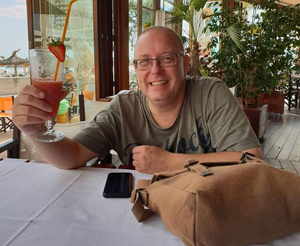 The second of a few holiday videos to come, this is a short one of Palma, Majorca, centred mostly in and around the Cathedral there. Filmed / edited / posted in HD widescreen. The first of a few holiday videos to come, this is a short one of a lovely Majorcan town called Son Servera. Filmed / edited / posted in HD widescreen. 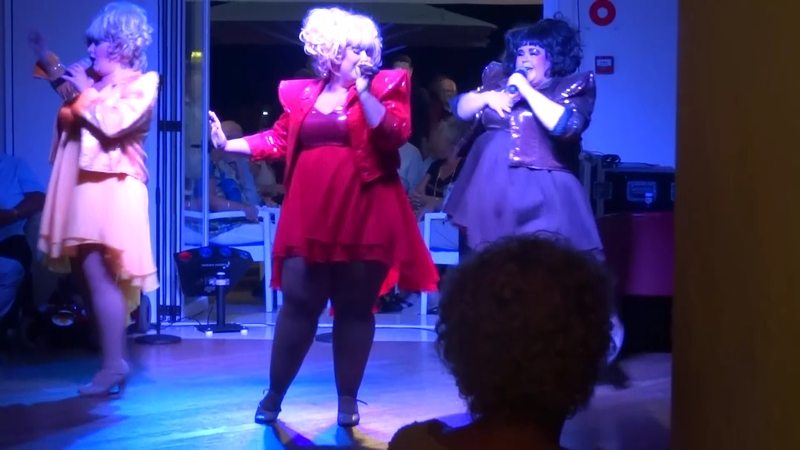 My first editing since 2009, this is a tiny edit of a song performed at Hotel Cala Bona on 4th October 2016. The song is "American Icons My My", performed by Duo Maritim. Written by Bob Richardson who also has a version of this performance on his own YouTube channel. This is a low-ish resolution version converted from a HD version. I aim to get the HD version up, one day! This is a small piece of raw footage of a horse and carriage taken in Palma 3rd October 2016 and which will likely end up in the edited Palma video I'm planning to throw together. This one is posted in HD as a test. The Champions (1992) Filming began in 1987, finished in 1992. Involved some acting. A Hill Of Beans (1995) Some acting involved but I was mostly behind the camera. Xonus (1995) Was well in front and behind the camera. I started filming this in 1994 and it was finally finished around Easter 1995 (from memory). Iron Law (1997) Mostly in front of the camera. Plot: A man finds himself repeatedly being pursued by vicious assailants and looks for a way out. Filmed 1995, released 1998. Behind the camera / editing. There were three music videos associated to this as well, filmed by Phil Young, edited by myself. 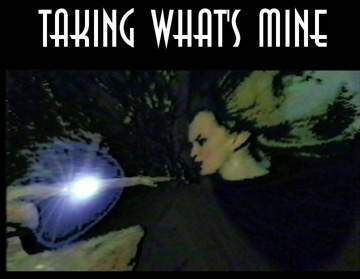 Taking What's Mine is available to watch on YouTube, with the 3 music videos following the main video. (Note: this version is a transfer from video tape). Based In Manhattan (2003) A film of my second trip to Manhattan. Nice, Cannes, Monaco, & Monte Carlo in one film, with Barcelona in the second one. A Short Trip To Budapest (2004) Fantastic place. Boring video I have to admit. Overlong and dull. Venice: Avenues and Alleyways (2005) A very enjoyable trip. Skiing In Bulgaria (2007) Loved the holiday, the video's not too bad either. BUT I was getting tired of editing by this time, and mistakes crept in. The main one was that I put in the name of somebody who hadn't even gone on that holiday. Crazy. I corrected this but not before copies had already been given out. A Cyprus Holiday (2009) Edited during 2010. This was my last go at editing for six years. I like this a lot but I felt it was time to call it a day until I was able to film / edit in the way I now wanted to (HD widescreen). It took me until 2016 to get around to doing that. The Champions Photo Gallery (2008) A simple photo gallery used as an extra on The Champions DVD. I may have produced photo galleries for other Misfits DVDs but I'll to check this, my memory's going! Anne - A Life Told In Pictures (2003) A pictorial history / film of a good friend of mine. The Marriage of Christine and Stephen (2001) A wedding video, but a damn good one if I say so myself. The Christening Of Jennifer Isobel Young (2002) Behind the camera/editing. The Bosleys - A Celebration (2003) Behind the camera/editing. Work Hard, Play Hard (2006) A collection of social events. Filmed by request, an audition for a TV programme. Chris and Jen: A Cyprus Wedding (2009) Edited during 2010. Two holidays that a couple of friends went on. I edited their photos and footage for them. Nick's Stag (2007) A stag weekend that i was asked to edit together. The Marriage of John and Trudy (2009) My sister asked me to edit a wedding video for her friend as a favour. The wedding had taken place in 1990 and I had two sets of footage to edit. I enjoyed this one, after all I hadn't filmed it so I couldn't be held responsible for the footage (a big worry when I film weddings myself - always afraid of messing it up). It didn't take long to edit either, the final version is only 21 minutes long. yes this was a fun one. It was also my penultimate editing job for 7 years. Showstoppers, Oklahoma, Old Time Music Hall, A Show Of Shows, Bugsy Malone, HMS Pinafore Songs Of Gershwin & Bernstein, A Century Of Song, Show Excerpts, Mack & Mabel, Millennium Concert, Oliver!, 60s Sensations, The Variety Show 1998, The Variety Show 1999, Millennium Show, The Variety Show 2001, Kidlington Gala Day 2001, The Variety Show 2002, The Variety Show 2003, The Variety Show 2004, Day Trip To Bethlehem, JC2000, Abingdon Lights 1999, Off To Bethlehem, The Smallest Angel, Call Of The World, Joseph & The Amazing Technicolour Dreamcoat, The End Of The Rainbow, Joseph 2000, Gel, Annie, Peter Pan, When We Are Married, Drive-In', Performance Evening, As Seen On TV, 1/2 Light, Harlequin 2002 Rehearsal Footage, An Evening Of Dance 2003. Other Edits: Trish Nelson Live In Kidlington (2002), Hannah Baker (2002) - Compilations taken from 'Variety Show 2002' as asked for by the show's producer, Malcolm Baker. 1 The Champions (1987) OLG / Misfits First time in front of the camera. Not completed until 1992. 2 Fast Forward at Al's (1988) Al Band. I don't think the footage I took exists. It was very very dark. 3 Fast Forward at Justin's (1988) Al I haven't seen the footage since so I doubt it exists today. 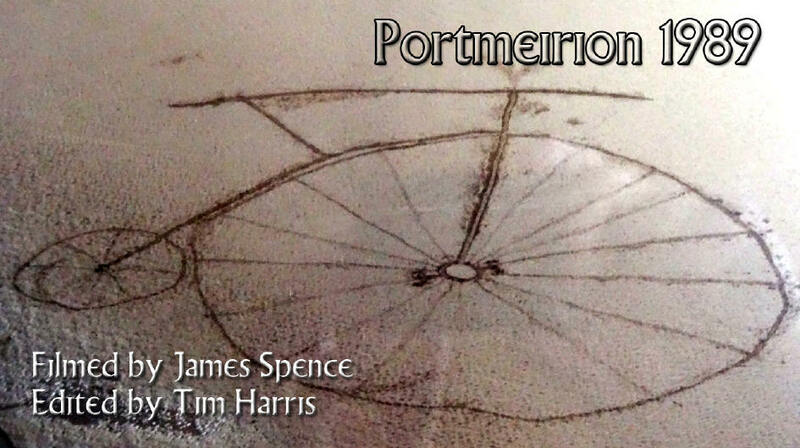 4 Portmeirion (1989) James Spence Footage filmed by James Spence. Some footage with me later used in Xonus. 1 The Champions (1992) OLG / Misfits Acting. Began this 1987, completed 1992. Enjoyable fun to make. Acting. Took some of the footage. I certainly overacted in this one and I cringe at times when watching it. I like the production overall though. 6 Xonus (1995) OLG / Misfits Wrritten, starring, edited by me. 7 Showstoppers (1995) WHY Productions MYCO. First show that I filmed and edited. 8 Oklahoma (1996) OLG / Misfits MYCO. Second show, this time filmed by Misfits. 9 Old Time Music Hall (1996) OLG / Misfits MYCO. Show. Filming & editing. 10 Platform Soul (1996) OLG / Misfits Band. Filming & editing. 11 Free 4 All (1996) OLG / Misfits Band. Filming & editing. 12 Hood - The Musical (1996) WHY Productions Tidying-up exercise of a show filmed by other people. 13 Iron Law (1997) OLG / Misfits Acting, some filming. I created the title sequence and later created the pre-title sequence. To date this is my last appearance as an 'actor'. I preferred my acting in Xonus over and above this one, while my appearance in A Hill Of Beans was my least favourite. The Champions was just great fun. 14 A Show Of Shows (1997) WHY Productions MYCO. Show. Filming & editing. 15 Larkmead '97 (1997) WHY Productions Band. Filming & editing. 16 Drive - In� (1997) WHY Productions NB BDC. Show. Filming & editing. 17 Performance Evening (1997) WHY Productions NB BDC. Show. Filming & editing. 18 Unfinished Music Video (1997) WHY Productions NB BDC. Asked to film a music video for a singer by a director, filmed over two days with singer and dancers, singer fell out with the director, it was scrapped. 19 Wink Music Performance (1997) NB BDC Dancers. Filming only, footage handed over. 20 Two Dancers (1997) NB BDC Dancers. Filming only, footage handed over. 21 When We are Married (1997) WHY Productions MBDG. A show filmed by two of us, the other person having forgotten to bring a tripod. One I didn't enjoy editing and doubly didn't enjoy the reaction once the edit was handed over: "Can we just have that one set of footage?" "Er, no". 22 As Seen On TV (1998) WHY Productions NB BDC. Show. Filming & editing. 23 Bugsy Malone (1998) WHY Productions MYCO. The first video I edited digitally though I had started on Taking What's Mine by this time (I think). 24 The Variety Show (1998) WHY Productions MB. Show. Filming & editing. 25 HMS Pinafore / Songs Of Gershwin & Bernstein (1998) WHY Productions MYCO. Show. Filming & editing. I'm not a fan of Gilbert & Sullivan and almost turned this one down. I made the mistake of taking it on and couldn't wait for it to be over, both filming it and editing it. 26 Day Trip To Bethlehem (1998) WHY Productions Show. Filming & editing. Without You Here WHY Productions Main production filmed by me. Music sequences filmed by Phil Young. All edited by me. 28 1/2 Light (1999) WHY Productions Show. Filming & editing. 29 The Variety Show (1999) WHY Productions MB. Probably my favourite of all the shows I filmed & edited, followed by Showstoppers. Loved those Variety Shows, some great routines and great performances. 30 A Century Of Song (1999) WHY Productions MYCO. Show. Filming & editing. 31 JC2000 (1999) WHY Productions Show. Filming & editing. 32 Off To Bethlehem (1999) WHY Productions Show. Filming & editing. Abingdon Lights (1999) WHY Productions Show. Filming & editing. 34 Call Of The World (2000) WHY Productions Show. Filming & editing. 35 Joseph 2000 (2000) WHY Productions Show. Filming & editing. One of the better edits of a show that I did. Was really happy with this one. 36 Millennium Show (2000) WHY Productions MB. Show. Filming & editing. 37 Show Excerpts (2000) WHY Productions MYCO. An edited compilation of clips from some of the shows I filmed, for use in some competition. They didn't get what they were after I seem to recall. 38 Mack & Mabel (2000) WHY Productions Show. Filming & editing. 39 Millennium Concert (2000) WHY Productions MYCO. Show. Filming & editing. 40 One World Week (2001) WHY Productions Show. Filming & editing. 41 The Variety Show (2001) WHY Productions MB. Show. Filming & editing. 42 Oliver! (2001) WHY Productions MYCO. Show. Filming & editing. 43 Why You Should Pick Edward! (2001) WHY Productions Audition for a reality series that I was asked to film & edit within 24 hours. He didn't get on the series. 44 Joseph & The Amazing Technicolour Dreamcoat (2001) WHY Productions Show. Filming & editing. 46 60�s Sensations (2001) WHY Productions MYCO. Show. Filming & editing. Last show I did for this particular society, just felt like the right time to move on. 47 Annie (2001) WHY Productions Show. Filming & editing. 48 Gel (2001) WHY Productions The only time I didn't hand over a show once I'd finished editing it. Two master copies were produced wich remain unseen by anyone else. I'd been reluctant to film the show as I had not been too keen on the show's director's less than courteous attitude towards us when filming her earlier show (Joseph 2000) but foolishly (but reluctantly) took it on. This level of absolute rudeness led more than anything else for me to say my days of filming / editing other peoples' stuff were numbered. Took me three more years to actually achieve that but the number of shows I filmed & edited reduced dramatically by that time. 49 Peter Pan (2001) WHY Productions Show. Filming & editing. 50 The Marriage of Christine and Stephen (2001) WHY Productions Reality. Filming & editing. Trish Nelson Live In Kidlington (2002), Hannah Baker (2002) - Compilations taken from 'Variety Show 2002' as asked for by the show's producer, Malcolm Baker. WHY Productions MB. Show. Filming & editing. 52 Harlequin 2002 Rehearsal Footage (2002) WHY Productions Show. Filming & editing. 53 The End Of The Rainbow (2002) WHY Productions Show. Filming & editing. 54 The Christening Of Jennifer Isobel Young (2002) WHY Productions Reality. Filming & editing. 55 Based In Manhattan (2003) WHY Productions Reality. Filming & editing. First of The Holiday videos. 56 An Evening Of Dance 2003 (2003) WHY Productions Show. Filming & editing. 57 The Variety Show (2003) WHY Productions MB. Show. Filming & editing. 58 The Bosleys - A Celebration (2003) WHY Productions Reality. Filming & editing. 59 Anne - A Life Told In Pictures (2003) WHY Productions Reality. Editing. I was requested to produce this based on photos of a friend. 60 The Variety Show (2004) WHY Productions MB. The last show (to date...) that I've filmed and edited. I had enjoyed filming the Variety Shows but for various reasons this was the last I filmed (think they did two more years of Variety Shows after this one). This particular group was the one I felt had been particularly appreciative of efforts in producing the videos. There came a time to move on though. 61 The French Trip / Barcelona: A Brief Look (2004) WHY Productions Reality. Filming & editing. The second of The Holiday videos. 62 A Short Trip To Budapest (2004) WHY Productions Reality. Filming & editing. The third of The Holiday videos. A short trip it was, the video seems to go on forever though. Overlong and dull at 46 minutes. 63 Cast Out (2005) WHY Productions Reality. Editing. I was requested to produce this based on photos by a friend. 64 Venice: Avenues and Alleyways (2005) WHY Productions Reality. Filming & editing. The fourth of The Holiday videos. 65 Emma & Ossie - Days Of Celebration (2005) WHY Productions Reality. Filming & editing. 66 Amsterdam / London (2005 / 2003) WHY Productions Reality. Filming & editing. The fifth of The Holiday videos. 67 No Devil In Wicca (2005) OLG / Misfits Uncompleted due to lead man having to drop out: I didn't want to re-cast the role. This was the closest I came to being in another Misfits video after filming Iron Law (1997): some footage was shot before the plug was pulled. Other than James Spence & myself this was going to have had a mostly new cast involved; the roles had been cast but it was not to be. 68 Our Family (2005) HRVT Reality. Editing. I edited a video using family photos. 69 Polo Day At Kirtlington (2005) HRVT Reality. Filming & editing. 70 The Marriage of Catherine and Andreas (2006) HRVT Reality. Filming & editing. 71 Portmeirion (2004, 2005, 2006) HRVT Reality. Filming & still waiting to be edited. My enthusiasm for this project comes and goes. 72 Work Hard, Play Hard (2006) HRVT Reality. Filming & editing. 73 Beryl's Party (2006) HRVT Reality. Filming & editing. 74 Two Holidays (2006) HRVT Reality. Editing. Filmed by others. 23 Nick's Stag (2007) HRVT Reality. Editing. Filmed by others. 75 Skiing In Bulgaria (2007) HRVT Reality. Filming & editing. The sixth of The Holiday videos. 76 Work Hard, Play Hard II (2007) HRVT Reality. Filming & editing. Iron Law Photo Gallery (2008) OLG / Misfits James Spence produced DVDs of the Misfits productions and somewhere along the line I said I'd produce the photo gallery extras. Can't remember if I suggested it or was asked. 78 The Marriage of John and Trudy (2009) HRVT Reality. Editing. Filmed by others. A Cyprus Holiday (2010) HRVT Reality. Filming & editing. The seventh of The Holiday videos. This was the last filming / editing project I did before coming out of retirement in 2016. I really enjoyed editing this one, spent months on it but by the time I even got to edit it felt unhappy at the quality of the footage I took. The story behind that is that my video camera had broken a few months before when on my way to Cala Bona for the first time. I was kept busy enough that I didn't make enough time to find a replacement camera and filmed the wedding on my then phone. I wasn't happy at the time and felt worse when I saw other people's footage when it came to the editing. It wasn't like I'd been asked to film & edit this one, but I'd really wanted to. However, I still like the final edited version. After that though, without a real camera to hand I wasn't prepared to film again, plus I was bored of producing my holiday videos by this time, they all had the same feel and style about them. Plus I wanted to move to HD widescreen and with the technology I had at that time couldn't easily do it, couldn't afford it. So I waited until everything fell into place and until I was actually in the mood to edit again. I took a 6-year break. 28 Taking What's Mine: The (Almost) 20th Anniversary Edition (2017) WHY Productions I'd never really felt I'd done all I could do for this one so I finally produced an edit for YouTube. I worked on this during a break from editing the next project below. 80 This Is Cala Bona (2017) TNH Reality. Filming & editing. The eighth of The Holiday videos. Probably the most satisfying video I've ever edited. 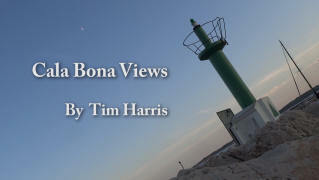 I'd taken a video camera to Cala Bona the first time I went there in 2008 but the camera broke on the way there. I took photos instead. Over the years I felt like filming there but had to wait a while until I had all the right equipment at the right time. Finally in 2016 I felt ready to film it, and was going to do a moving picture postcard video, maximum 20 minutes in length. Whist I was there ideas for filming kept coming to me and in the end took over 5 and a half hours of footage. This has resulted in a 43 minute video which I'm pleased with. Could have been better filmed but overall I like it. I filmed it in HD Widescreen and for once didn't smother it with music as had been the case with the previous holiday videos. This gives it a different feel from the earlier ones. I began editing this October 2016 and finished March 2017. There are other videos associated with this one including Rain In Cala Bona and American Icons My My available on YouTube. 81 Christmas Dream (2017) TNH Christmas pics put to one of my favourite Christmas songs. 82 Welcome to Cala Bona (2018) TNH Reality. Filming & editing. The ninth of The Holiday videos. A follow-on to 2017's This Is Cala Bona and just about as satisfying to produce. This one is longer and took four software programs to produce. 6 Xonus (2018) OLG / Misfits Restoration of the 1995 video. I had attempted to digitally restore this some years ago but gave up. I started restoring from scratch on 2nd April 2017 and by 23rd April needed a break from it. I didn't think I'd get back to it until 2018 and this turned out to be true. I wanted fresh eyes to be cast over the edit and once I did, on 31st March, only made minor changes and produced the Master. I posted to YouTube 1st April 2018. This remains one of my personal favourite projects that I've ever undertook. I've slightly enhanced and mildly modified the video. The enhancements were what I'd wanted to achive back in 1995 and couldn't achieve back then. The modifications were made to reflect the passing of time and of my own views on how things should be presented (swearing in the video has been highly reduced and often removed for instance). 83 Cala Bona and Beyond (2018) TNH My first trip to Cala Bona in 2008 finally edited. I'd planned to edit this in 2009 but hadn't been at all happy with the quality of the video taken as my main camera had been damaged on the way to Majorca and had only a very basic camera to use. I finally looked at the fotage for the first time this year, saw there was more footage than I'd remembered taking and got inspired to edit it despite the video's limitations. 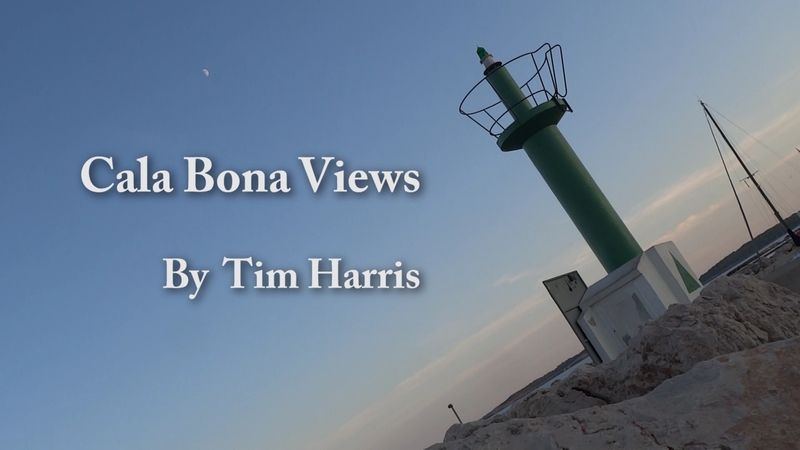 84 Cala Bona Nights (2018) TNH A compliation of various musical acts filmed in 2013, 2014 and 2016. This is a video of the first trip made to Portmeirion (Wales) by my friend James Spence and myself in 1989. James filmed the footage on a Panasonic M7 camera over three days in August and we both had designs on editing this footage ever since but usually finding ourselves side-tracked onto something else.